New York, NY (September 23, 2014) – Premium TV network EPIX and the National Hockey League (NHL®) announced today that they have formed a partnership to produce and distribute a two-part original series, debuting on EPIX in December 2014, that will bring hockey fans onto the ice and behind-the-scenes with the Chicago Blackhawks and Washington Capitals as they prepare to compete in the 2015 Bridgestone NHL Winter Classic®, and the Los Angeles Kings and San Jose Sharks on their road to the 2015 Coors Light NHL Stadium Series™. Produced by 52-time Emmy award winner Ross Greenburg, the series will offer viewers an exclusive look inside the world of the NHL, with strategically placed cameras and microphones providing an all-access pass to players’ homes, locker rooms, training rooms, and the arena. A pioneer in “TV Everywhere” multi-platform availability, EPIX’s television, on-demand, and digital offerings will provide fans intimate looks at these athletes in professional and personal settings, capturing all the action, drama, heartaches, and triumphs as they unfold. Part one of the series will premiere on EPIX in the U.S. and Sportsnet in Canada in December, with weekly episodes following the Blackhawks and the Capitals through regular season games, culminating with the 2015 Bridgestone NHL Winter Classic® outdoor game in Washington, D.C. on New Year’s Day, January 1. Part two of the series will premiere on EPIX in the U.S. and Sportsnet in Canada in February 2015 with weekly episodes focused on the reigning Stanley Cup® Champion Kings and their division rivals, the Sharks, as they prepare for the 2015 Coors Light NHL Stadium Series™ on February 21st. U.S. hockey fans will be able to watch each episode streamed live for free on EPIX.com, the EPIX mobile and connected device apps, as well as on NHL.com, the NHL app, and the official websites and apps for each participating team. In addition, fans will be able to sign up for a free trial EPIX subscription at EPIX.com to view the entire series on demand through the EPIX online and app platforms. “The players appreciate the high level of interest that this series will create amongst fans with Ross Greenburg and EPIX bringing the players’ stories directly into your living room,” said Don Fehr, NHL Players’ Association Executive Director. “The opportunity to play outdoors in a stadium atmosphere is always exciting for the players and their families, and this series will undoubtedly be content that fans won’t want to miss." This two-part series is the newest entry in EPIX’s wide-ranging, exclusive sports franchise programming, which includes Forgotten Four: the Integration of Pro Football, premiering tonight, September 23rd, at 8 PM ET. Featured programs also include David Ortiz In the Moment, Amar'e Stoudemire In the Moment, Lindsey Vonn In the Moment, and Schooled: The Price of College Sports. EPIX is a premium movie and original programming entertainment service delivering the latest movie releases, classic film franchises, original documentaries, comedy and music events on TV, on demand, online and on devices. Launched in October 2009, EPIX has pioneered the development and proliferation of “TV Everywhere.” It was the first premium network to provide multi-platform access to its content online at EPIX.com and was the first premium network to launch on Xbox, PlayStation®, Android tablets and phones, Windows 8.1 and Roku® players. 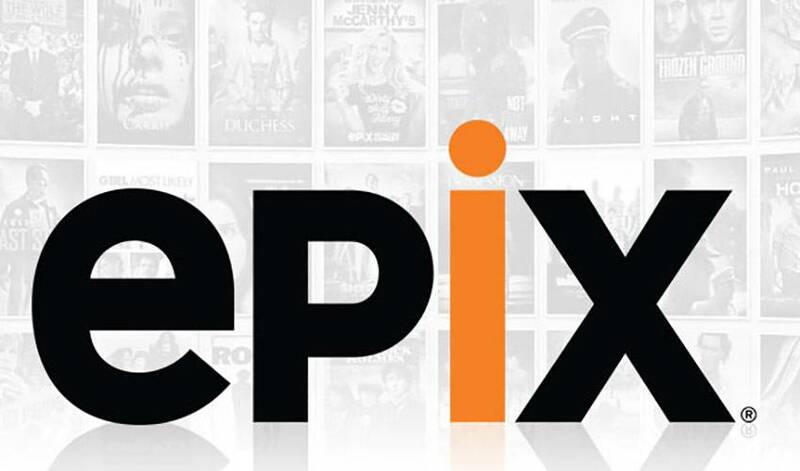 EPIX is available to authenticated subscribers on hundreds of devices including Apple® iPads® and iPhones® and is the only premium service providing all its programming on all platforms, delivering more movies than any other premium network, with thousands of titles available for streaming. EPIX is a joint venture between Viacom Inc. (NASDAQ: VIA and VIA.B), its Paramount Pictures unit, Lionsgate (NYSE: LGF) and Metro-Goldwyn-Mayer Studios Inc. (MGM). Through relationships with cable, satellite and telco partners, EPIX is available to over 50 million homes nationwide. For more information about EPIX, go to www.EPIX.com. Follow EPIX on Twitter @EpixHD (http://www.twitter.com/EpixHD) and on Facebook (http://www.facebook.com/EPIX), YouTube (http://youtube.com/EPIX), Instagram (http://instagram.com/EPIX), Google+ (http://plus.google.com/+EPIX) and Pinterest (http://pinterest.com/EPIX). NHL, the NHL Shield, the word mark NHL Winter Classic and the word mark and image of the Stanley Cup are registered trademarks and the NHL Winter Classic logo and NHL Stadium Series name and logo are trademarks of the National Hockey League. NHL and NHL team marks are the property of the NHL and its teams. © NHL 2014. All Rights Reserved.